What does Homework actually mean? 1. Which building has most stories?? 2. Railroad crossing without any cars. Can you spell that without any R’s? 3. Why is 6 afraid of 7? 4. What tastes better than it smells? 5. What two things can’t you eat for breakfast? Answers below. Cheating Not Permitted. Comment your score out of five below.. Fact 1: You are reading this. Fact 2: You can’t say the letter ‘m’ without touching your lips. Fact 3: You just tried it. Fact 6: You’re smiling or laughing again. Fact 7: You didn’t notice I missed fact 5. Fact 8: You just checked it. Fact 9: You’re smiling again. Police: where do u live? Police: where does ur parents live? Police: where do u all live? Police: where is ur house? Me: if i tell you u wont believe me. 2. Put it in the freezer. 4. Take out the fly, it will be unconcious, not dead. 5. Pull out a strand of hair or a thin piece of string. 6. Tie it around the fly. 7. Wait till it wakes up. Water found on Mars! See what NASA has to say! Scientists believe these dark, narrow streaks flowing downhill on Mars were formed by flowing water. There are still no signs of little green men, but NASA announced on Monday the discovery of proof of recent flowing liquid water on Mars. These findings boost the odds that there is life on the Red Planet. A new study published in the journal Nature Geoscience reveals that Earth’s next-door neighbor has multiple dribbles of salt-laden water that were wet, or at least damp, as recently as last year. This is not the first discovery of water on Mars. Scientists confirmed in 2008 that the Red Planet has frozen water. Now instruments aboard NASA’s Mars Reconnaissance Orbiter have found the strongest evidence yet that salt water in liquid form trickles down certain Martian slopes each summer, according to the researchers. Mars is now the only planet in our solar system to show signs of water on its surface, other than our own. Streaks can be seen on the walls of a crater on Mars..
Five years ago, researchers spotted dark narrow streaks on Mars’s surface that tend to appear and grow during the warmest Martian months and fade the rest of the year. The streaks looked like signs of liquid water, but landslides or dust couldn’t be ruled out. Scientists used the Mars Reconnaissance Orbiter examine the evidence. The spacecraft found wet molecules of perchlorate, which are chemicals made up of chlorine and oxygen. The study’s lead author, Lujendra Ojha, determined that something must be moistening Mars’s deposits of perchlorate—and that it must be liquid water. Because liquid water is necessary for life, the findings suggest “that it would be possible for there to be life today on Mars,” NASA’s science mission chief, John Grunsfeld, said at a news conference. Ojha, however, notes the salty water spotted by his team would not be a good home for living creatures, since perchlorates are toxic. Michael Meyer, lead scientist for NASA’s Mars exploration program, said the best way for now to determine whether there’s life on Mars is to collect rocks and soil for study on Earth. A U.S. lander set for liftoff in 2020 will do just that. Chess boxing is probably a sport of which you may have never heard.The object of chess boxing is to either beat your opponent in alternate rounds of chess or boxing. Matches can be won from either with the chess coming down to check mate or forfeit and the boxing in either a stoppage or points decision. How is the game played? The match starts with a four minute round of chess. The players then go into the ring for a three minute round of boxing before again returning to the chess board. The match consists of 11 rounds in all (6 rounds of chess and 5 rounds of boxing) with 1 minute break between rounds.Each player has boxing gloves which are removed for the chess round. Head phones are given to the players when taking part in chess so they do not hear advice from the audience. The chess side of the game is played out over a 12 minute clock and is suppose to be played very quick. Referees may step in if they believe a player to be stalling in the chess rounds to force them into a move within 10 seconds. How is it’s scoring done? The boxing rounds are scored like a normal boxing match on points. Unless the chess game has seen a conclusion, which is very rare in the sport, then the game will go to count back on boxing points. In the event that the boxing is a draw then the win will go to the player playing the black chess pieces. As you already know that winning is either if you knockout your opponent in a boxing round or checkmating them in a chess round. The sport was founded in 1992 and it is played in countries such as England, Germany, Netherlands, France, Russia and Japan. It also has a annual world championship. Pakistan look positive in Defeating Sri Lanka. 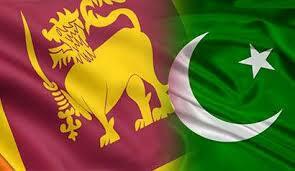 Pakistan really have a shot at victory this series against Sri Lanka. Why? First of all Sri Lanka’s top 5 players Sangakara, Mahela, Dili, Herath and Malinga reccently retired. Those players probably were the reason Sri Lanka made it to such a high rank during the last decade. Now Sri Lanka are taking a risk on the debut’s and un-experienced to TRY and beat Pakistan.On the other hand Pakistan have their most strongest squad in. Pakistan are coming to Sri-Lanka right after white-washing Zimbabwe so they are more confident while Sri-Lanka are coming after losing to West Indies. Well what will make Pakistan win 100% is only if the Pakistani Skipper Misbah tries to confuse his opponents. All he has to do is get in Sri lanka’s shoes, think what Sri lanka will do, then prevent them from doing it. Just like Wahab Riaz did to take an extra wicket in the ODI against Zimbabwe. Wahab set a field where the batsmen was sure to aim for, then he bowled the exactly opposite ball which the batsman was expecting and alas he ended up with breaking the stumps! Which squad do you think is stronger? Made your Decision leave your answer down in the reply section to vote. Vote results will be released on the 20th of June 2105. Hurricanes are named in alphabetical order. 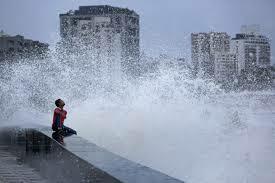 The first Hurricane that strikes in the year has a name that starts with an ‘A’ and it goes on till it reaches ‘Z’. As soon as the hurricane name crosses ‘Z’ it comes back to ‘A’. Well if the year finishes when the hurricane name is for example ‘F’ it will come back to ‘A’ due to the new-year. The second thing we need to know about hurricane naming is that the stronger hurricane names are female names and the weaker are always male names. Hurricane names are always made by the country that is being threatened by the hurricane. 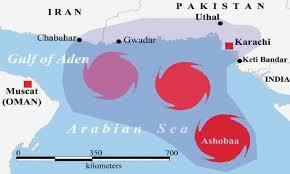 Currently formed 2 days ago cyclone Ashobaa is going to be a big threat to India, Pakistan and Oman. Currently it is a ‘Cyclonic Storm’ and a category 1 , but if it survives for a few more weeks it may become an severe cyclone. It just turned around from Pakistan as it was to hit Karachi yesterday just before it took a detour. Its winds are up to 65m/hr, but are increasing very rapidly. It hasn’t hit land yet and no damage at all but it might hit India tomorrow and if it does it will be at speeds of 70m/hr and will cause a lot of damage. Now the question is that will the storm survive to become deadly or will It deform?